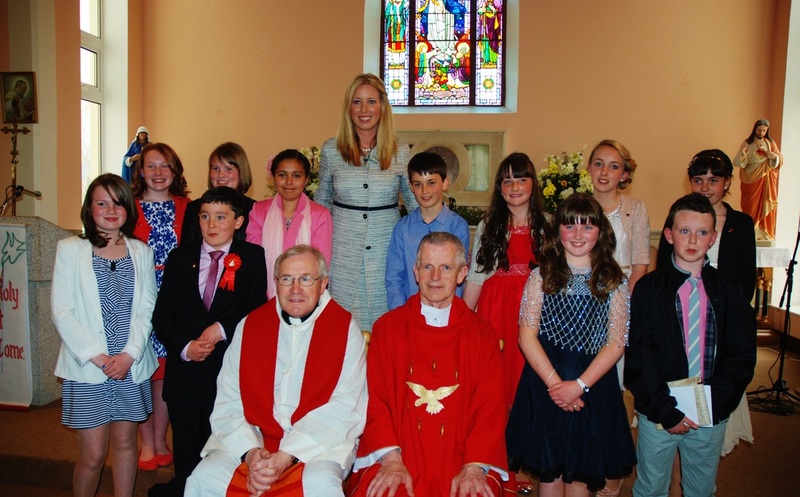 Bhíomar ag gearrthóg inniú le Terry agus Jane Cunningham!! We were scrapbooking today with Terry and Jane Cunningham! Féach ar na cártaí Vailintín a dheineamar! 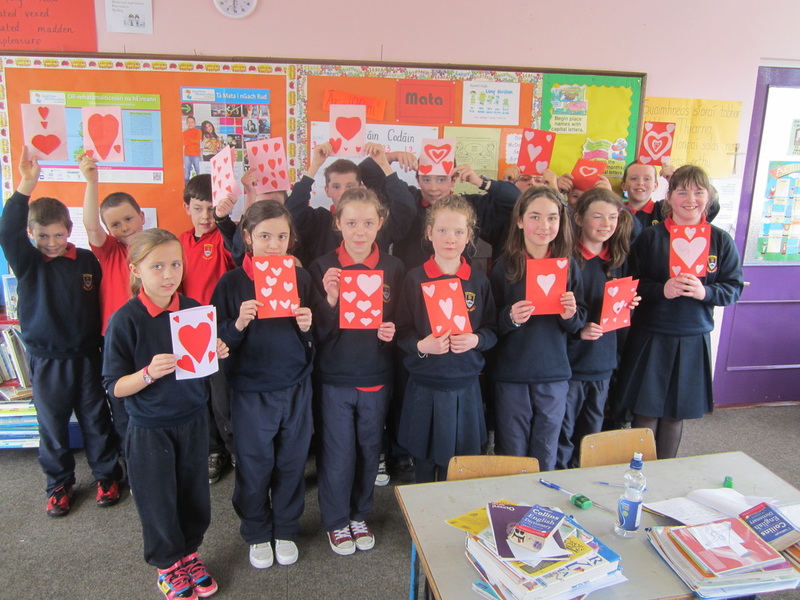 Look at our symmetrical Valentine's cards. We wrote lots of poems to put inside! Inniu bhíomar ag gabháil do fhadhbanna mata! Today we were working on maths problems! They were tricky!! Múinteoir Trish is with us for November and we get to do fantastic things with her! Tá sceitimíní orainn mar go bhfuil tuirbín gaoithe á dtógáil ar an gcnoic taobh thiar dúinn. Bíonn na liáin agus na lorraithe ag dul thar bráid beagnach gach aon lá. We are very excited about the wind turbines that are being erected on the hill behind the school. The propellors and the lorries pass over the Inny bridge almost every day.